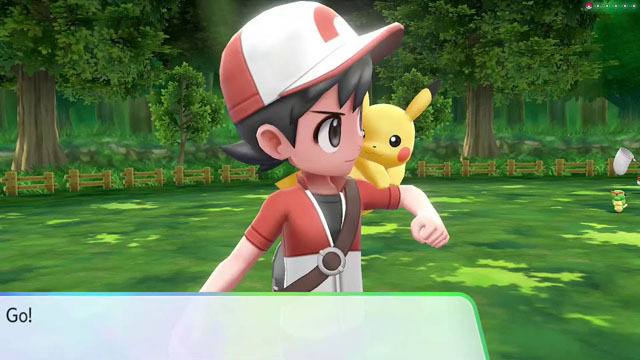 While information was light in the Nintendo E3 Direct, Tuesday’s Nintendo Treehouse Live dedicated a large segment to Pokémon: Let’s Go, Pikachu! and Eevee! versions for Nintendo Switch. In addition to showing the anticipated RPGs in action, there was a wealth of information as to how Let’s Go will differ from the series’ conventions. 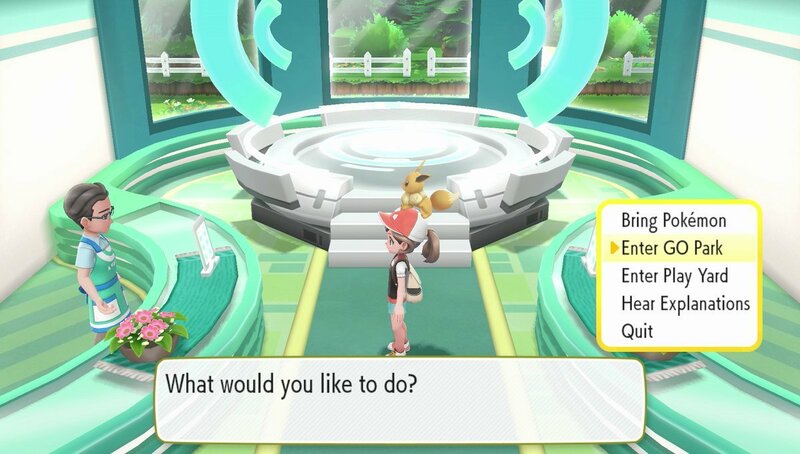 Pokémon: Let’s Go are ditching wild Pokémon battles in favor of capturing the creatures in the manner of Pokémon GO. This led to players wondering how your team would level up and grow stats? Now it is known that your entire team will gain experience from successful captures. Battling against trainers may also reward you with items like Pokéballs. All normal stats (HP, Attack, Defense, Special Attack/Defence, and Speed) can be raised via Candy, such as a Quick Candy that raises Speed. You can earn these candies by transferring Pokémon to the Professor via your storage Box. A Pokémon capture can dish out experience depending on the size of the creature. A bigger Pokémon is surrounded by a red aura in the overworld that denotes more experience, while a blue aura means the opposite. In order to obtain Pokémon sent over from Pokémon GO, there is the GO Park in Fuscia City, replacing the original Kanto’s Safari Zone. Critters sent over with a high CP (Combat Power) will have a high level, making them harder to catch. Once a Pokémon is sent from GO, it cannot return to its mobile game origins. 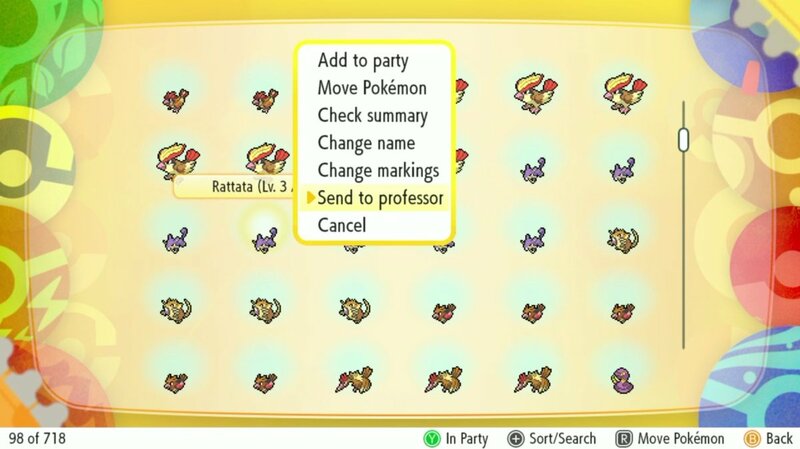 Multiplayer in Pokémon Let’s Go can be done locally or online with battles and trading. You’ll need to share a Link Code to connect to friends, similar to Raid Battles in Pokémon GO. Online multiplayer requires the paid Nintendo Swicth Online subscription at $20 per year. 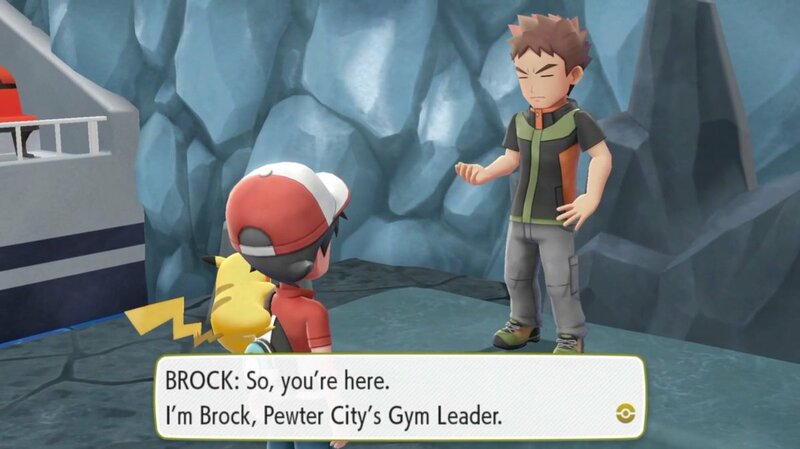 In terms of Pokémon: Let’s Go‘s story, a new rival named Trace takes the place of Gary. Trace is more helpful this game around, often handing out helpful items. To enter Pewter City Gym, you’re gated off unless you have a Water or Grass-type Pokémon (to teach type effectiveness to new players). In addition to the news this morning that Mew can be exclusively obtained through the Pokéball Plus controller, there will be a bundle with either game that includes said controller. It is up for pre-order at major outlets for $99.99 USD and launches with the standalone games on November 16th. It’s worth noting Mew cannot be sent forth from Pokémon GO proper. Stay tuned for much more on Pokémon: Let’s Go Pikachu! and Let’s Go Eevee! as E3 week develops. nintendo switchNintendo Treehouse LivePokémon Let's Go Eevee!Pokémon Let's Go Pikachu!